Kingdom of Saudi Arabia Ministry of Health and Council of Cooperative Health Insurance (CCHI) has made Medical Insurance must for Non Saudi residents (expatriates) and their families living in Kingdom of Saudi Arabia effected from mid of 2014. - It is the responsibility of Sponsor (Employer) to provide medical insurance to Individual and his family living in Saudi Arabia. - Insurance coverage is mandatory for all employees irrespective of the salaries they receive. - Passport department (Saudi Jawazat) has demanding documents of health insurance cover while renewing (Extending) Iqama's of expatriates. 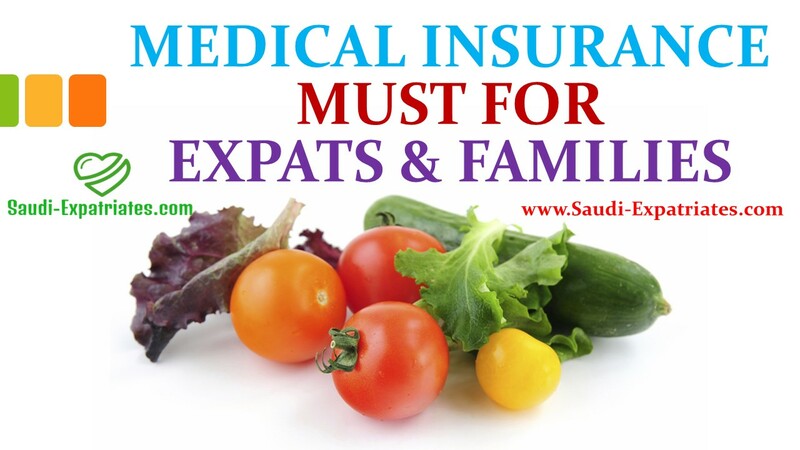 - All private businesses should provide medical insurance cover (Private Health Insurance) for Individual and his family living in Saudi Arabia. - Not applicable to the children of Saudi women married to foreign men or foreign wives of Saudis. - Medical insurance for Individual worker and his dependents (family members) must include in employment contract of Saudi Expats. - Government recently licensed many Saudi Insurance Companies to meet the demand for service. - Health Insurance Companies in Saudi Arabia from Saudi Arabian Monetary Agency. Problem of health insurance has been a hot topic of discussion among the expatriates since government has made it mandatory to have health insurance to renew Iqama. Now you can check online expiry of your health insurance in few easy steps. Details have been provided in the link below. which is the best medical insurance for family with less fee payment? No idea, You can ask your colleagues or your friends. What are the new plane in medical insurance...!! !